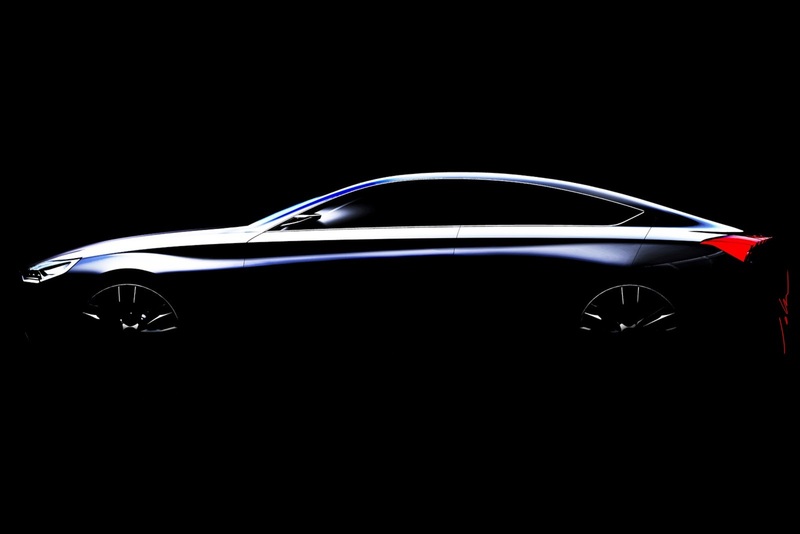 Hyundai will take the wraps off it’s luxurious new concept, the HCD-14, at the Detroit Motor Show next week. Details are non-existent at this stage, but this teaser image does at least reveal the silhouette of the new concept. Hyundai promises that the HCD-14 offers “a glimpse into future Hyundai premium vehicle design, advanced 3D gesture-based technology controls and spirited driving dynamics. So, not only does the concept promise futuristic controls and technology, but improved dynamics from the Korean manufacturer, too. Designed at the Hyundai California Design studio (hence the HCD name), the HCD-14 is the latest in a long line of Hyundai concepts that dates back to 1992, with the HCD-1. The unveiling will occur on 14 January, so check back then for more details on the car.